Government plans to offer a subsidy of Rs 1.4 Lakh, capped at 20% of the value of EV if you buy an Electric Vehicle In India. The subsidy can go high up to Rs 4 Lakhs on high-end Electric vehicles. Check out the details now. In a bid to encourage the sale of Electric vehicles in India, Government plans to offer a subsidy of Rs 1.4 Lakh if you buy an EV. The maximum limit cap on this subsidy is 20% value of the EV. So, if you buy a normal EV you can either get a subsidy of Rs 1.4 Lakh or 20% of the value of EV, whichever is lower. For high-end electric cars, there is a maximum subsidy available of up to Rs 4 Lakhs. The rules of subsidy extend up to two-wheelers and cars as well. Currently, Tata and Mahindra are the first beneficiaries of this scheme. So, if you buy a Tata or a Mahindra EV, you can avail of this scheme. Currently, the Electric Vehicle concept is developing in India. As of now, we have 2,000 Electric cars in India and around 23,000 electric two-wheelers. The figures are much-much low. The main reason for this is because of the high prices and higher maintenance costs that EV owners have to pay. Recently, the GST rate on Electric motors and Lithium-ion Batteries was reduced to 18% from 28%. However, the rate is still higher if you want to buy a second set of batteries. We still expect due to both these schemes, the prices of EVs in India might go down. Currently, Mahindra e20 Plus and eVerito retail at Rs 7.34 Lakhs (ex-showroom Delhi Post Subsidy). 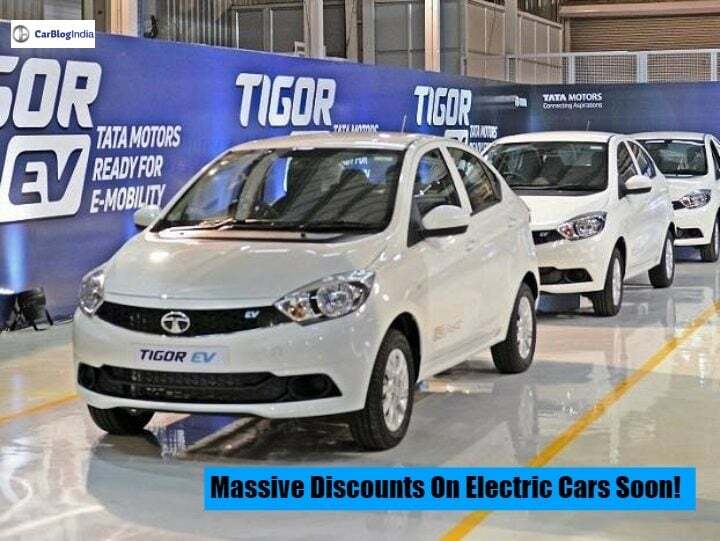 This decision came from a high-powered committee headed by expenditure secretary, A N Jha, as part of the second phase of Faster Adoption and Manufacturing of Hybrid and Electric Vehicles in India (FAME-II). Currently, the government has allocated a budget of Rs 5,500 crore for EV, against the earlier Rs 4,000 crore. The subsidy is dependent on the size of the battery. The rate is set at Rs 10,000 per kilowatt hour (kWh). So, if you have a car, it has a battery pack of 14 kWh. So, you get a maximum subsidy of Rs 1.4 Lakhs. Now, scooters come with a 2kWh pack and e-rickshaws with 4.5 kWh packs. In order to keep a check on subsidy spending, the government has also decided to cap the number of vehicles that get the subsidy.